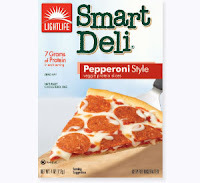 I myself am a huge pepperoni fan and have always been looking for tasty healthier versions, I have been disappointed by most nitrite free brands, but haven't tried "turkey pepperoni" Good review. I chop up this pepperoni and put it in stuffed mushrooms. My meat-loving family can't tell the difference.